Claude Newman was a twenty-year old African American who was sitting on Death Row in a Mississippi prison in 1943. His crime was that of ambushing and shooting a man named Sid Cook – the abusive and horrible second husband of his beloved grandmother. Although the murder may have felt emotionally justified, Claude found himself, nevertheless, awaiting execution in this Mississippi prison near Vicksburg. One day, he noticed a medal hanging around the neck of a fellow prisoner. Claude asked the young man what it was. The other prisoner responded by cursing and throwing the medal to the ground. “Take it,” he said. 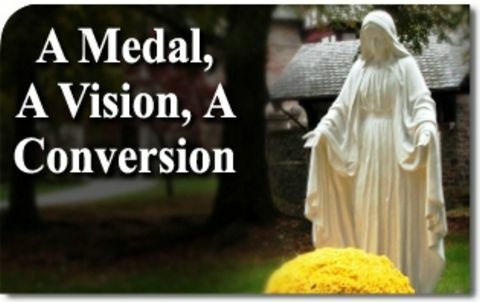 The medal was a Miraculous Medal of Our Lady of Graces. Claude knew nothing about it, who was actually pictured on it, or what it represented. Nevertheless, Claude picked up the oval trinket and hung it around his neck. Then the “beautiful woman” simply vanished. “A ghost! A ghost!” screamed Claude. He begged and pleaded for a Catholic priest to come see him. The next morning, Father Robert O’Leary, SVD, was summoned (This priest was the one who preserved these details and documented these events.) After listening to the extraordinary experience that Claude described, the priest discovered that Claude was illiterate and knew nearly nothing about religion. So, the priest began to slowly and carefully teach him about the Catholic faith. Four other prisoners, who were deeply impressed by Claude’s experience and details, joined into the teachings of Catholicism. Occasionally, two sisters from Father O’Leary’s church joined the catechetical team to teach these inmates. Assuring Claude that he was far from angry, Father O’Leary asked Claude if he had seen the Lady again. Taking the priest aside, Claude admitted that he had. 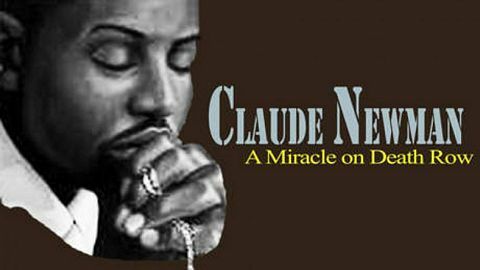 This truth of this amazing revelation firmly convinced Father O’Leary of the authenticity of Claude’s experiences. 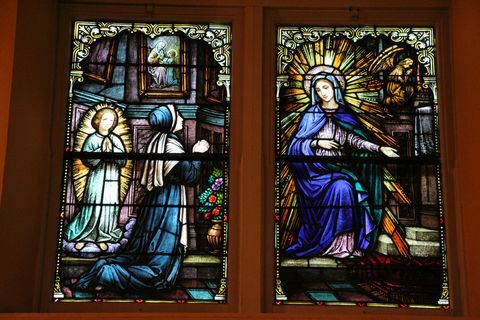 In fact, during the war, Father O’Leary had prayed through Blessed Mary’s intercession for his own survival – promising to build a church in honor of the Immaculate Conception if he lived to do so. There was no way that this prisoner on Death Row could have known about that priest’s prayerful promise in 1940. And the Virgin Mary – through Claude – was correct. Father O’Leary had not built that promised church yet. With new inspiration and determination, this priest made sure that the church was finally built. 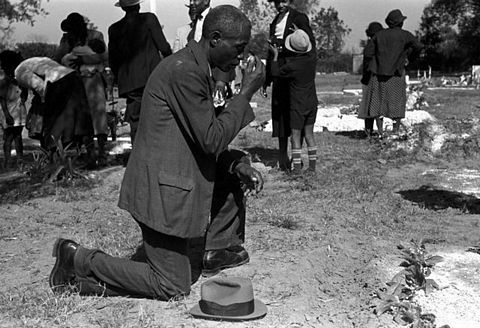 His promise was fulfilled with its completion in 1947, and it is still standing today in Clarksdale, Mississippi. Finally, the catechumens (inmates) were received into the Church. 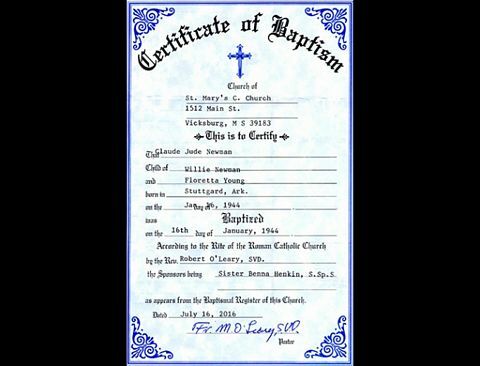 The baptismal records of St. Mary’s parish in Vicksburg record Claude’s baptismal day as January 16, 1944. He was actually scheduled for execution just four days later on January 20th. And so, Claude Newman had his party with cake and ice cream, and his fellow inmates were allowed to attend. Then Father O’Leary had an inspiration – and perhaps a reason why. There was another prisoner, James Hughs, also on death row for murder. Despite having been raised Catholic, he had led a horribly immoral life. Furthermore, James had a particular hatred for Claude and all priests as well. Father O’Leary proposed to Claude that he offer his disappointment on not being executed that day for the conversion of James Hughs. Claude spent his final two weeks generously offering his prayers for the salvation of his troubled fellow inmate. Father O’Leary was in the room, so he approached James and heard his full confession. Then, Sheriff Williamson, who could not bear his own curiosity, asked the condemned man what was in the corner. James explained that he had seen Claude Newman with the Blessed Virgin standing behind him with her hands on his shoulders. Claude had obtained from Our Lady that James be given a glimpse of his place in hell — where he was about to go! What James saw filled him with such horror that he screamed for the priest. Having confessed his sins, he could now die in peace. 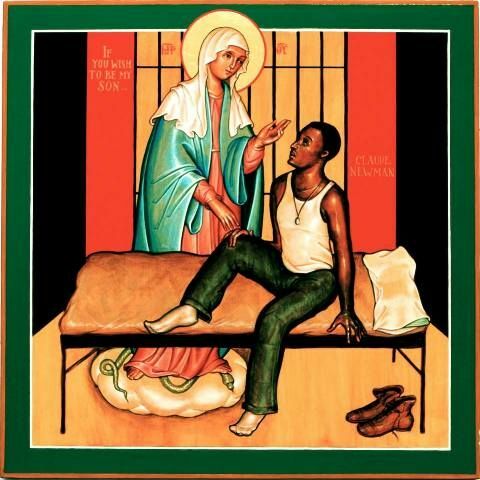 Once again, the simple wearing of the Miraculous Medal of Our Lady of Graces called down Our Lady’s maternal gaze, saving not just the soul of Claude Newman, but of many souls in that Mississippi prison. The priest who had been sick for a long time was healed immediately and announced to the people about the miracle that had occurred. Pilgrimages to the Holy House began. The residents of this small town built a simple building over the Holy House to protect it from the elements of nature. After the three years and seven months, the house disappeared from Tersatto on the night of December 10, 1294 — never to return again. 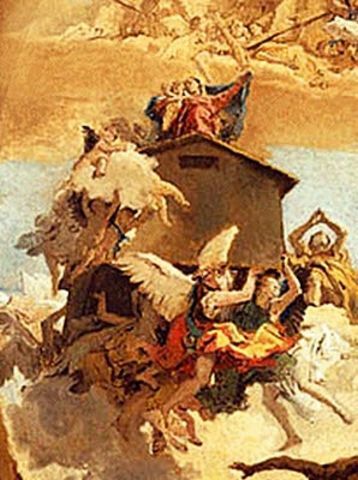 On that same day of December 10, some shepherds in the region of Loreto, Italy reported to have seen a house flying over the ocean, held by angels. There was an angel dressed with a red cape (St. Michael) who directed the others; the Virgin Mary with the Child Jesus were seated on the house. The angels lowered the house on the place named Banderuola. Many arrived to visit this holy house, but there were also some who went to mug the pilgrims. For this reason, people stopped going there, and the house was again moved by the angels to a hill in the middle of a farm. The Holy House would not remain there for much longer either. The farm belonged to two brothers who began to argue over who was the owner of the house. Paul then told this story to the townspeople and they began a process to verify the authenticity of the house. 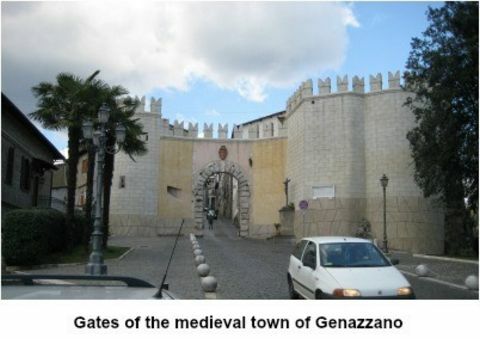 They first went to Tersatto and later to Nazareth. All of the descriptions of the interior elements and other details correlated. In Nazareth they discovered that it truly was the house of the Virgin Mary. The measurements of its foundation (left behind) were exactly the same as those of the little house in Loreto. With the death of the last great Albanian leader in January of 1467, the Turkish army poured into Albania, occupying all its fortresses, cities and provinces with the exception of Scutari, in the north of the country. However, the city’s capacity to resist was limited, and its capture was expected at any moment. With its fall, Christian Albania would be defeated. Faced with this prospect, those who wished to practice their faith in Christian lands began a sad exodus. 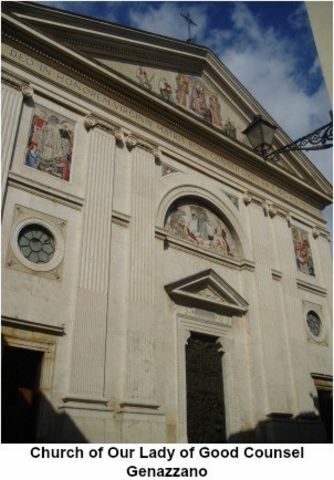 Two men named Giorgio and De Sclavis also studied the possibility of fleeing, but something kept them in Scutari, near the church with the miraculous painting. 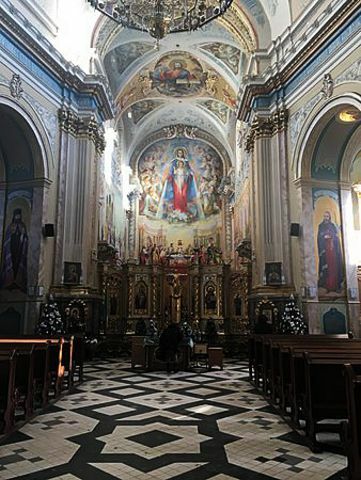 In this church the faithful Christians venerated an eggshell-thin fresco of Our Lady which had mysteriously descended from the heavens two hundred years before. According to tradition, it had come from the east. 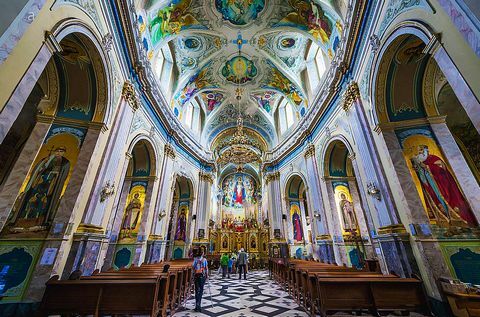 Having poured out innumerable graces over the whole population, its church became the principal center of pilgrimage in Albania. Their great Albanian leader, himself, had visited this shrine more than once to ardently ask Our Lady for victory in battle. Now the shrine was threatened with imminent destruction and profanation. 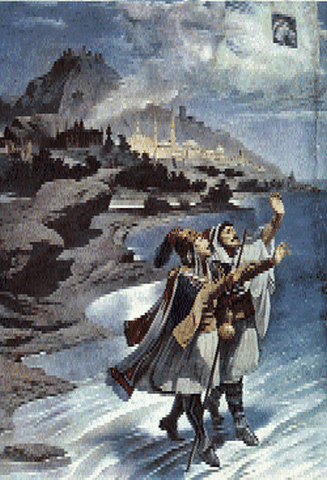 The two Albanians were torn by the idea of leaving the great treasure of Albania in the hands of the enemy in order to flee the Turkish terror. In their perplexity, they went to the old church to ask their Blessed Mother for the good counsel they needed. That night, the Virgin Mary inspired both of them in their sleep. She commanded them to prepare to leave their country, adding that the miraculous fresco was also going to leave Scutari for another country to escape profanation at the hands of the Turks. Finally, she ordered them to follow the painting wherever it went. The next morning, the two friends went to the shrine. Suddenly, they saw the picture detach itself from the wall on which it had hung. Leaving its niche, it hovered for a moment and was then suddenly wrapped in a white cloud through which the image continued to be visible. The painting left the church and floated out of Scutari. It traveled slowly through the air at a considerable altitude and advanced in the direction of the Adriatic Sea at a speed that allowed the two walkers to follow. After covering some twenty-four miles, they reached the coast. Without stopping, the picture left the land and advanced over the waters of the Adriatic Sea while the faithful Giorgio and De Sclavis continued to follow, walking on the waves. When night would fall, the mysterious cloud, which had protected them with its shade from the heat of the sun during the day, guided them by night with light, like the column of fire in the desert that guided the Jews in their exodus from Egypt. They traveled day and night until they reached the Italian coast. There, they continued following the miraculous picture, climbing mountains, fording rivers and passing through valleys. Finally, they reached the vast plain of Lazio from where they could see the towers and domes of Rome. Upon reaching the gates of the city, the cloud suddenly disappeared before their disappointed eyes. Giorgio and De Sclavis began to search the city, going from church to church, asking if the painting had descended there. All their attempts to find the painting failed, and the Romans disregarded these two foreigners with their strange and incredible tale. 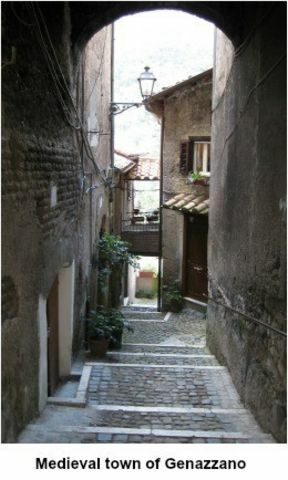 Meanwhile, in Genazzano, a charming medieval town about thirty miles south of Rome, financial difficulties had prevented the necessary and urgent restoration of the ancient temple there. 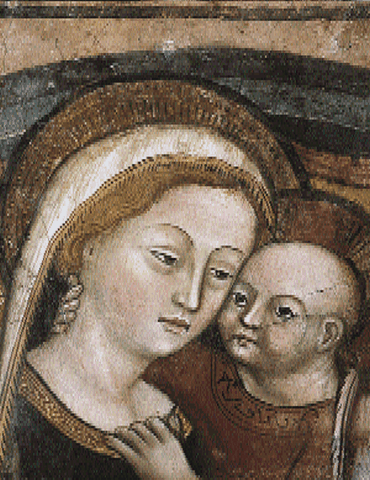 Petruccia de Nocera had been left a modest fortune following the death of her husband in 1436. 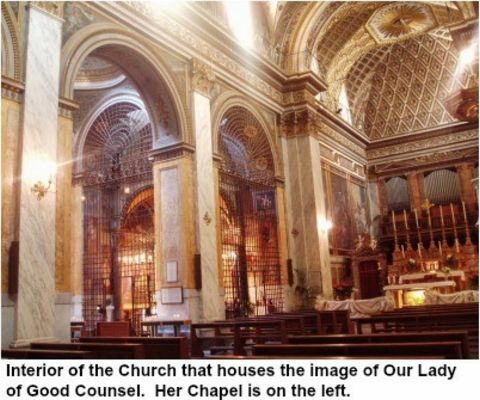 Living alone, she dedicated most of her time to prayer and services in the church of the Mother of Good Counsel. 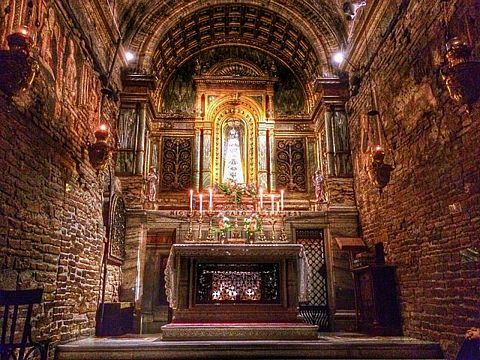 It grieved her to see the deplorable state of the sacred premises of the attached ancient chapel, and she prayed fervently that they would be restored. Finally, she resolved to take the initiative. After obtaining permission from the friars, she donated her goods to initiate the restoration in the hope that others would help complete it once it was commenced. 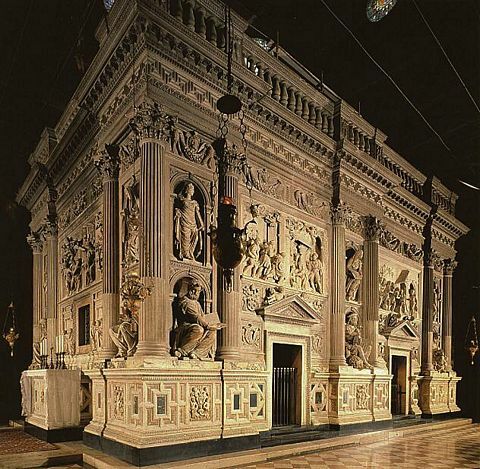 Petruccia, who was already eighty years old, found that her generous offering was scarcely enough to complete the first phase of the new construction of the chapel. To make matters worse, no one came forth to help. To her dismay, the building had hardly risen three feet when construction came to a halt due to lack of resources. On April 25, 1467, the feast day of the city’s patron, Saint Mark, a solemn celebration began with Mass. It was Saturday, and the crowd began to gather in front of the church of the Mother of Good Counsel. 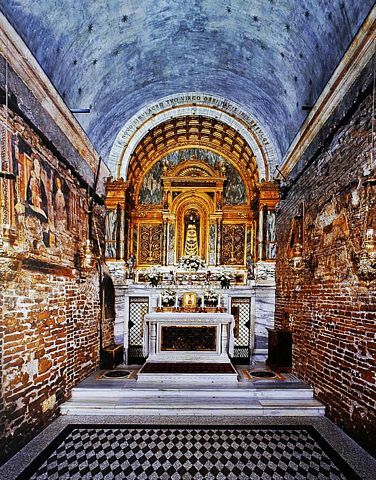 The only discrepant note in the celebration was the unfinished work of Petruccia’s ancient chapel. At about four in the afternoon, everyone heard the chords of a beautiful melody that seemed to come from heaven. The people looked up toward the towers of the churches and saw a white cloud that shone with a thousand luminous rays; it gradually neared the stupefied crowd to the sound of an exceptionally beautiful melody. 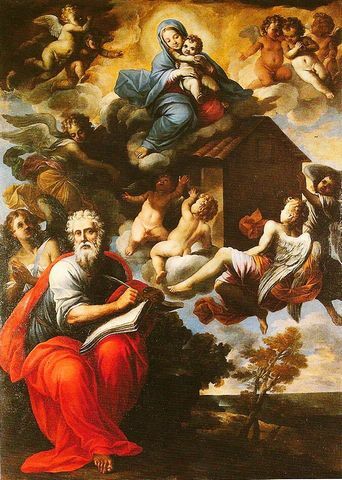 The cloud descended on the church of the Mother of Good Counsel and poised over the wall of the unfinished chapel of Saint Biagio, which Petruccia had started. Suddenly, the bells of the old tower began to ring by themselves, and the other bells of the town rang miraculously in unison. The rays that emanated from the little cloud faded away, and the cloud itself gradually vanished, revealing a beautiful object to the enchanted gaze of the spectators. 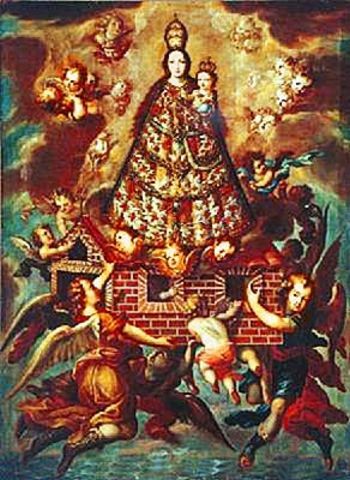 It was a painting that represented Our Lady tenderly holding her Divine Son in her arms. Almost immediately, the Virgin Mary began to cure the sick and grant countless consolations, the memory of which was recorded for posterity by the local ecclesiastical authority. 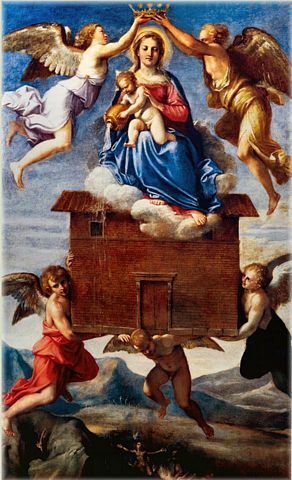 Shortly thereafter, amazing news came to Rome: a picture of Our Lady had appeared in the skies of Genazzano to the sound of beautiful music and had come to rest over the wall of a church that was being rebuilt. 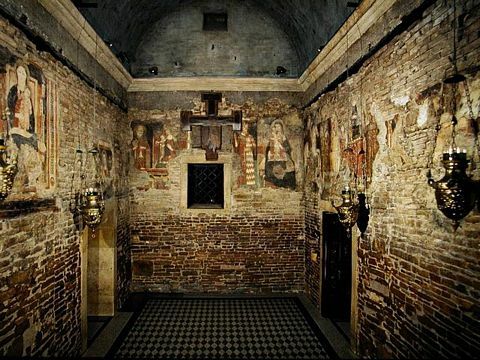 The two Albanians rushed to find their country’s beloved treasure miraculously suspended in the air next to the wall of the chapel where it remains to this day. Although some inhabitants found the strangers’ story difficult to believe, careful investigation later proved that the two were telling the truth, and that the image was indeed the same one that had graced the shrine in Scutari for two hundred years. This miraculous painting had made the incredible journey, carried by the angels, upon the request and direction of the Blessed Virgin as foretold to these two devoted gentlemen. In the small town of Perryville on the eastern side of Missouri, about an hour south of St. Louis, something inspirational has been happening every month since June of 2003. It began with a farmer and part-time construction worker named Neal. This humble, hard-working man in his late forties came from a family of eleven children; he had six brothers and four sisters. Neal has lived in Perryville all of his life, attending all 12 years of Catholic school. He has two children from a failed, “Godless” marriage and eight children from his present marriage of the past 17 years. His mother was a devoted Catholic who constantly reminded him, “If you don’t have God in your life, you have nothing.” In second grade he wanted to become a priest – and “played Mass” in his basement by rolling out the bread to make the host and using a metallic shot glass of his father’s for the chalice. But, as he advanced into high school, he became distracted by sports, girls, partying, and activities with his friends. By his young adult years, he had strayed far from the Church and is not proud of those days. And his Mom kept reminding him that he did not have God in his life. Then things began to happen. In 1995, his brother showed him a fascinating picture that he had taken of a nun in a parking lot – and in the sun was the image of a Miraculous Medal! Neal thought that this was amazing. About four months later, a Catholic prayers book appeared on the seat of his truck. Thumbing through it one day, its prayers started triggering memories of his devoted days, years ago, as a young Catholic. But when he came to the “Hail Mary,” he had a vivid flashback to his first Communion. He became overwhelmed, emotionally, realizing how far he had strayed from his Faith. At that moment he began praying the Rosary again on a regular basis. Then, other things began happening. 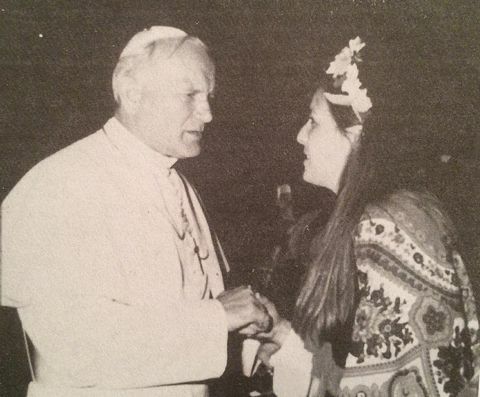 His mother’s religious friends from her prayer circle (whom he had called “Holy Rollers”) started running into him everywhere he went, often giving him a direct message or piece of information about prayer groups, parish missions, or religious presentations. 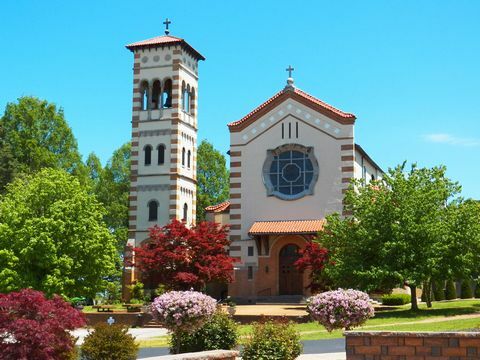 August 11, 2000 will stick in his memory forever; a friend of his became adamant and persistent about his attending a special presentation on Mary at another parish, 12 miles away from his own, on the Feast Day of the Assumption. He had politely agreed to attend several times, knowing that he probably wouldn’t – until his friend took his arm, looked him in the eyes, and insisted one last time. Neal felt God in his actions at that moment – and sincerely agreed to attend. Much to his surprise, his wife easily agreed to attend the event with him at this distant parish. Back in Missouri, in June of 2003, Neal was working in the fields when he again experienced a strong scent of roses and felt that Blessed Mary was nearby. She asked him to begin praying at the Grotto on the 13th of every month for the next 13 months. 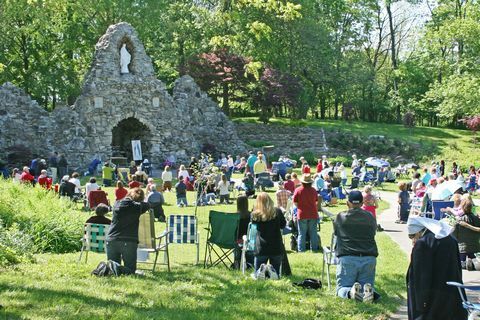 The grotto that she was referring to happened to be on the grounds of the National Shrine of the Miraculous Medal – right there in Perryville! The Vincentian community of priests resides there – one of whom is Father Oscar Lukefahr, a well-known writer of Catholic educational materials. The church, St. Mary’s of the Barrens, was founded in 1818. 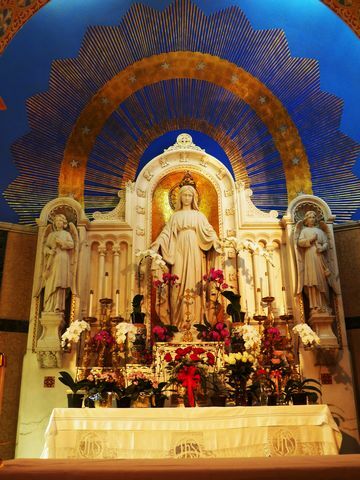 The Shrine was built in 1929 to honor Our Lady of the Miraculous Medal. The Grotto was built on the beautiful grounds by seminarians during World War I with completion in 1920. 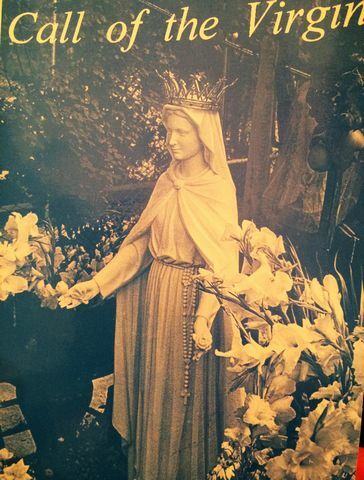 The statue of Mary, for a niche high in the rock wall of the Grotto, arrived on August 5 (Mary’s actual birth date!) of that same year. Neal prayed the Rosary at the Grotto for three months by himself. He placed some of her messages to him, anonymously, in the local paper, potentially for anyone’s inspiration. After the three months, Mary asked him to bring five friends – and stated that a television station would eventually be involved later on. 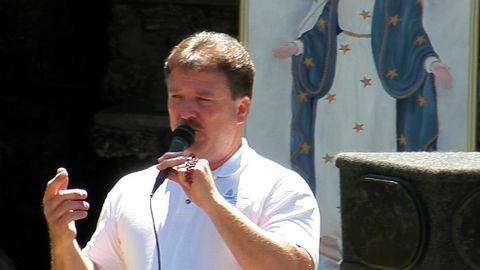 By June of 2004, Neal made it public about what was happening at the Grotto. 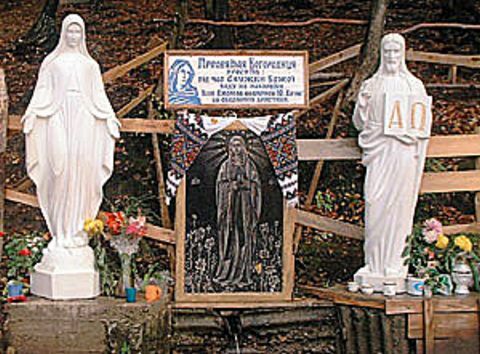 Sure enough, Channel 12 TV from Cape Girardeau appeared during December of 2004 to do a story about the events at the Grotto for their 10:00 p.m. newscast. 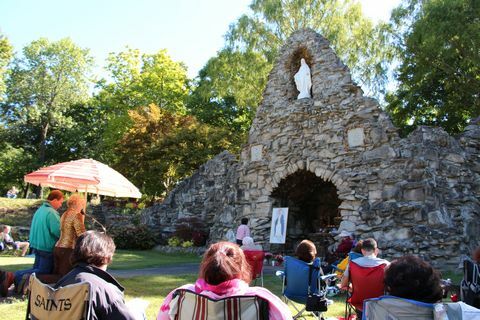 When that first 13 months had passed, Mary indicated to Neal that she was pleased with the devotions and prayers taking place at the Grotto – and asked him to keep coming on the 13th of every month, indefinitely. Neal describes Our Lady as coming to him in a vision, surrounded by clouds and mist. She wears a long white gown with gold trim and a gold sash. There appear to be stars on her gown, but Neal says that they are actually floating just above her dress and all around her. She has long, wavy, brown hair with a gold crown on top of her head. The crown appears to have dark green emeralds encircling it and twelve little crosses around the top, representing the twelve apostles. She has a blue mantle over her white gown. 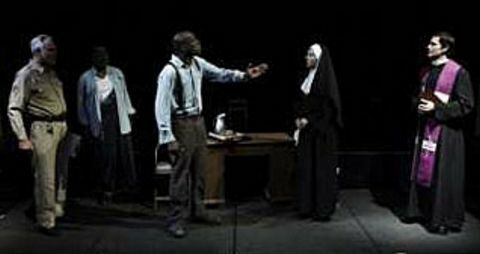 Neal feels disconnected from everything and everyone else around him when she comes – “I only see Mary.” Sometimes, there are saints or angels with her. Visionary Neal (on left) prays and awaits the appearance of Our Lady on the 13th of each month since 2003. 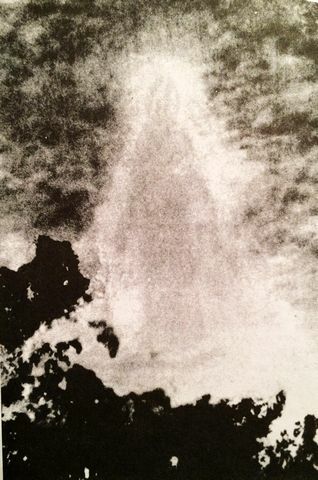 How the Blessed Virgin appears to Neal during the apparitions. I had the opportunity to personally visit this Grotto to pray with the group and talk with Neal on May 13 (first Fatima apparition) and October 13 (Fatima’s Miracle of the Sun) in 2013. As a psychiatric therapist, I can attest to Neal’s grounded, sane, and humble manner – free of any obvious disorder or delusions. Some members of the Marian Association attend the Shrine every month. We all have had the experience of “smelling the roses that are not present” and feeling a great peace and unity while praying the Rosary there. Some have captured some fascinating photos of the sun with doves, crosses, and especially rose petals appearing in the photographs. 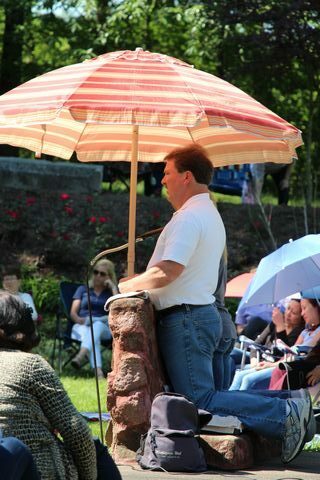 Neal shares the messages given to him with the prayer group of 200 people. Warraq al-Hadar is a small island in the Nile River in the Giza governorate, a part of Greater Cairo. This is a very poor district. December is a Marian month and Nativity Fast on the Coptic Calendar. During this month the Coptic Church celebrates a special Midnight Praise dedicated to the Holy Virgin and the Incarnation. 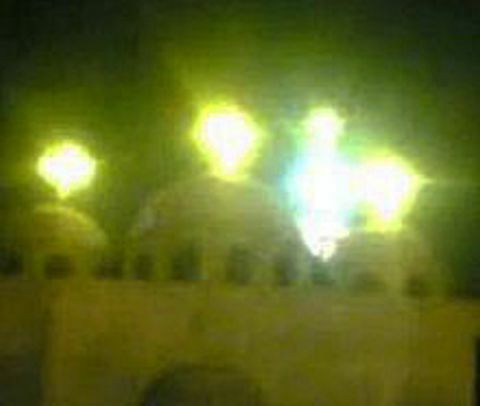 The apparitions began at the Church of the Virgin Mary and Archangel Michael in Al-Warraq. Hassan, a Muslim neighbor, was sitting at his local coffee shop across the street when he saw a strong light coming from the church around 8:30 p.m. More people on the street began to notice the light and saw a bird circling above the church. 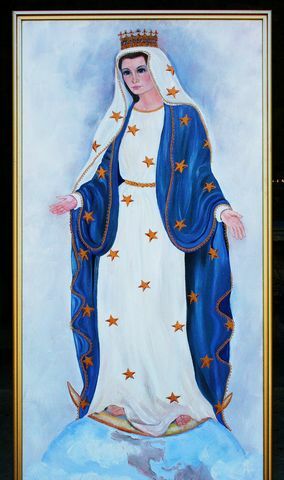 Around 2:00 a.m., a vision of the Virgin Mary appeared in her blue and white robes. 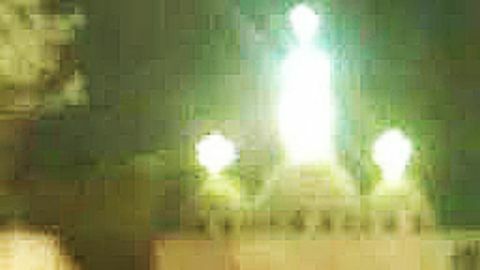 “On Friday, December 11, 2009, at 1:00 a.m. the Holy Virgin appeared in her full height in luminous robes above the middle dome of church named after her – Virgin Mary and Archangel Michael Coptic Orthodox Church in Al-Warraq. She was described as wearing a pure white dress with a royal blue belt. She had a crown on her head, above which appeared the cross on top of the dome. The crosses on top of the church’s domes and towers glowed brightly with light. 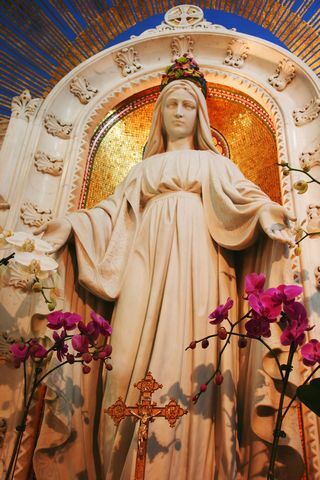 Blessed Mary moved between the domes and on to the top of the church gate between its two twin towers. All of the local residents saw her! The apparition lasted from 1:00 a.m. until 4:00 a.m. on Friday. Many cameras and cell phones took pictures. Some 3,000 people from the neighborhood, surrounding areas, and passers-by gathered in the street in front of the church to see the apparition. 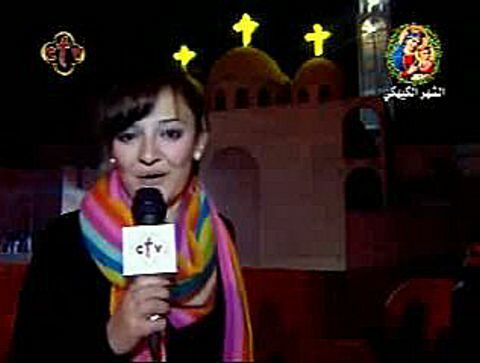 The scene, as described, along with photos and videos, was broadcast on Amr Adib’s talk show, “Cairo Today” on December 13, 2009. The news spread like wildfire; crowds flocked to Giza to catch a glimpse of Our Lady. TV reporter provides live coverage during the apparition scene. The event had a different dimension for security forces. Selim, a policeman, pointed out that he had been on duty at the site for seven hours already and did not expect to be relieved for another five hours. Father Dawoud said that the police were exerting a tremendous effort and were being very cooperative. Father Dawoud also praised church neighbors, many of whom allowed visitors to view the church from the roofs of their buildings. For several weeks, a silent crowd running in the thousands gathered in front of the church, gazing up into the sky in the early morning hours. Whenever the mysterious light appeared over the church tower, the crowd was jolted into a frenzy of astonished cries. 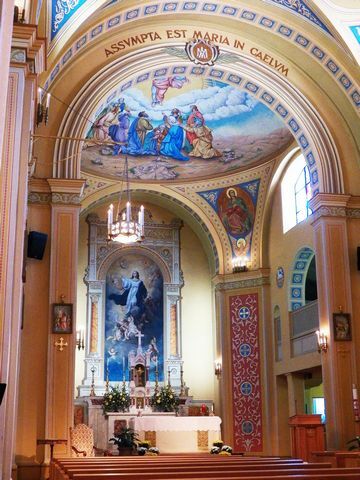 Is that the Virgin Mary standing between the domes? Many of the local Muslims did not deny the sightings, but claimed they were hoaxed with laser beams – although no evidence or proof of those claims ever surfaced. Kawkab Munir Shehata, age 39, is convinced of what she saw. In fact, the mother of two says that the Virgin Mary restored the sight that she had lost in her left eye. Circle is around one of the “glowing birds” in flight among the domes. 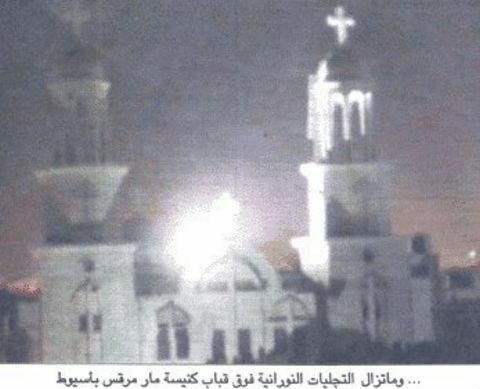 By December 22 of 2009, more than 200,000 Christians and Muslims had witnessed the apparitions on the domes of this church in Warraq al-Hadar. Apparition lights in the night sky could be seen several kilometers away from the church. The full silhouette of the Blessed Holy Virgin dressed in a light blue gown could be clearly seen over the domes and between the church crosses. People used their mobile phones to make videos of the apparitions and share them via Bluetooth and on YouTube. These events received wide media coverage in Egyptian newspapers and Arabic TV channels. Maybe it was a sign of hope for Egypt’s Copts, who are 10 percent of the country’s population, and have lived far too long on the margins of society – often victims of violence. According to the International Marian Research Institute in Dayton, Ohio, these apparitions were indeed investigated and officially approved by the Coptic Pope, Shenouda III. On August 27, 2002, two girls from the village of Nyzhne Bolotne (in Western Ukraine) went to a grove to get some water from the spring there. Olenka Kuruts was ten years old, and her friend, Mar’yanka Kobal, was nine years old. Olenka looked up to see a “beautiful lady” standing at some distance behind Mar’yanka. When Mar’yanka first turned around to look, she did not see her. But after she filled her bucket with water and looked around again, she did also see the “beautiful lady,” standing quietly several paces away. Because the lady did not say anything, they became frightened, thinking she might be a witch. The lady was standing on a small cloud adorned with all kinds of flowers, just above the ground. 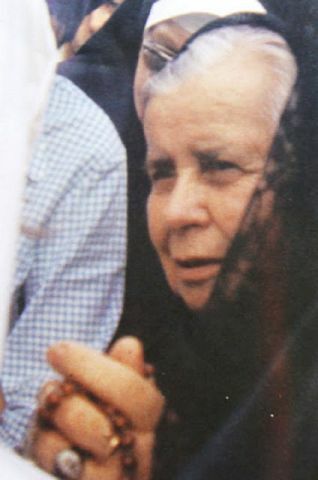 Mary was wearing a white dress with a blue belt and a white headscarf. As the girls took their filled buckets and headed back to the village, the lady on the cloud glided along behind them, escorting them home. Olenka’s parents disbelieved her story and reprimanded her for wasting time on such foolishness. But Mar’yanka’s father was a priest, so he cautioned the girls to be careful and always make the sign of the cross. Later that same day, the girls headed to pick up Olenka’s younger sister from kindergarten when they saw the lady on the little cloud again. When they made the sign of the cross to protect themselves, the lady was quite pleased and smiled radiantly. Mary then made the sign of the cross in return with her folded fingers. When the girls asked who she was, they were told that she was “The Most Pure Virgin.” On their way home from the kindergarten, the lady appeared again – this time with “two angels” with her. One “angel” was taller than the other. They later learned that these were “guardian angels.” A third angel which appeared in later encounters was identified as St. Michael. As the children became more accustomed to seeing the Blessed Virgin, they became bolder, asking her many questions. 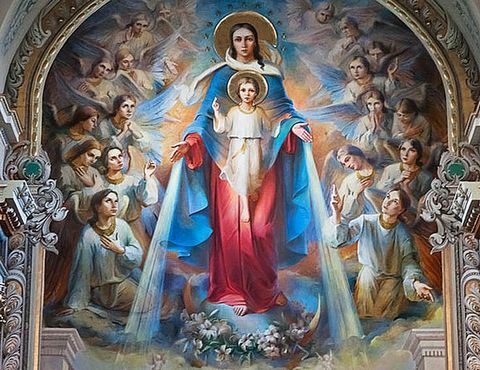 Mary said that she came to promote the authority of the priests among the people, to unite the church, to bring together the Ukrainian people who were separated, and promote more prayer. Mary wanted the children’s parents to go to the spring in the woods to pray, but Mar’yanka’s father, the priest, was reluctant because it did not seem proper. Mary asked – through the children – for the priest to inform the local church authorities of her appearances by telling “the old Bishop Marhitych” first. The bishop was informed and immediately came to their village to question the young girls closely. He wanted to know if she could confirm her identity in some manner to them. The girls replied that when people started praying at the spring in the woods that a confirmation would happen. 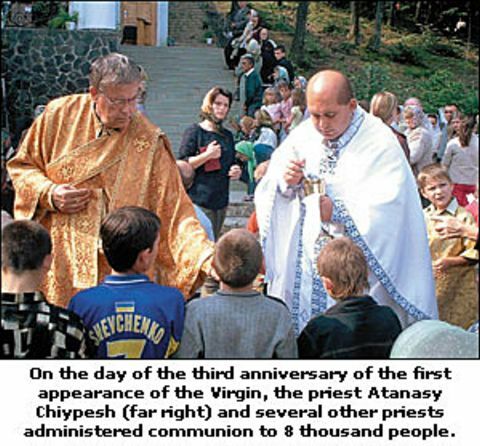 Therefore, on August 31, 2002, Bishop Marhitych held a religious service at the spring in the woods (known as Jublyk). 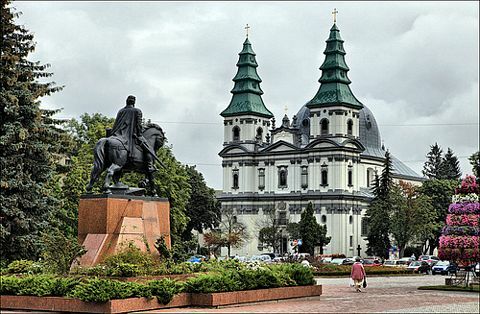 Word spread, and soon many pilgrims from all over the Ukraine were coming to this area in hopes of seeing a miracle. A chapel was eventually built there and sightings of Mary happened with others at this place. 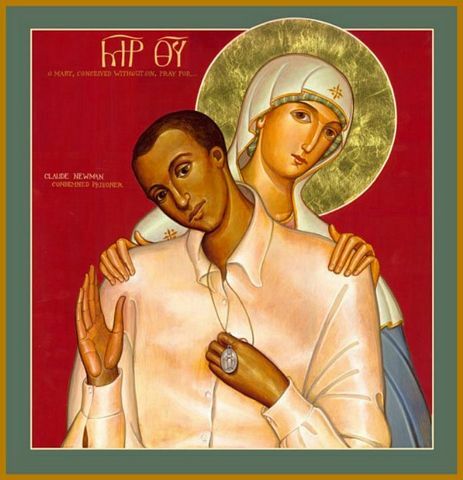 Some reported that Mary was weeping; others saw the Holy Family. The cross standing in front of this chapel lost its gilding and blood appeared instead. A sample was sent to a laboratory, and tests revealed that it truly was blood (as reported in a May 12, 2004 newspaper). Many people reported that they could look directly at the sun without blinking or injury while at Jublyk. Miracles were reported occurring at the spring of water. Some people smelled incense or roses — despite neither being visibly present. Another reliable report claimed that the sun appeared completely different – “with a circle of different colors” around it. Several weeks after these events first began, Olenka saw a man strangely appear next to the priest during a church service. She whispered to Mar’yanka next to her who noted only the silhouette of a man initially – which then developed into a visual appearance of a tall man with shoulder-length hair and a small beard. Mar’yanka then whispered to her Mom what she was seeing – “the man wore a blue garment with a red shirt underneath … his feet could not be seen as they were hidden by a small cloud.” She described wounds on his hands and that he was very good looking. The girls both reported that he was conducting the service along with priest, making all the same gestures. Wondering if this had been Jesus, they asked the Virgin Mary at her next appearance, and she confirmed that it had been Jesus whom they had seen! They also saw, on another occasion, a man in a brown robe holding a long stick in one hand and a lily in the other. They wondered if this might have been St. Joseph. There remained many skeptics and doubters who thought the girls must be hallucinating, making it all up, or psychic in ability. But the girls not only were healthy, normal, and active in typical events for their age, but they had no history of any disorders, lying, or fabricating tall tales. One day, accompanied by eight other children, they went to the spring in the woods where Mary appeared to them again. They invited the other children to kiss the Virgin’s hand or feet. Even though the other children could not see her, when they were guided to where her feet would be and kissed the area, they sensed “a strange warmth” there. On the way home, they all observed a mysterious light following them to their village. 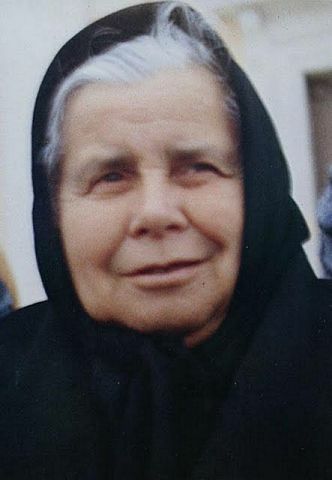 On another occasion, Olenka kissed the feet of Christ when he appeared before her – but then felt a sharp pain stab her in the hands, feet, heart, and head. She collapsed to the ground, and the other children had difficulty raising her. She stretched on the ground, spreading her arms out, assuming the position of someone being crucified. Again, she could not be lifted from the ground. A young boy ran back to the village for help, returning with Reverend Atanasy Chiypesh and a watchman. They eventually got her to her home after sprinkling water from the spring on her face. Unable to speak yet, she wrote on paper for her parents that she would not be able to attend school during Lent due to her inability to walk. Rev. Atanasy interviewed her carefully, learning that she had accepted an offer to suffer along with Jesus and not be able to walk until Easter. In a dream at night, the Virgin Mary took her on a cloud, riding to Paradise, Purgatory, and Hell. She was surprised to see bishops and priests in all three places. Mary explained that they were in Hell because they did not really believe in God. Some priests were in Purgatory because they did not listen to the righteous bishops as they should have. The stigmata pains lasted for some time for Olenka, but they are all gone now. Assiut, a city in the southern part of Egypt, was the farthest south that Mary and Joseph had travelled into Egypt. 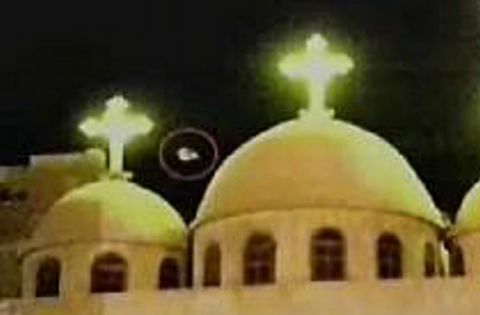 Since mid-August, 2000, the Egyptian city of Assiut has experienced unusual lights, glowing figures and doves over St. Mark’s church – a large Coptic church in the center of Old Town. Hundreds and sometimes thousands prayed, sang, and danced around the church. It was initially suspected that somebody was perpetrating a clever hoax with lasers or a light effects show. But, when the local government ordered the electricity for the entire area to be switched off for one night in order to uncover any deception, the unusual lights returned as bright as ever. Next, the officials evacuated the area from 10:00 p.m. until 6:00 a.m. each night, but the spiritual lights were stronger and brighter than ever. 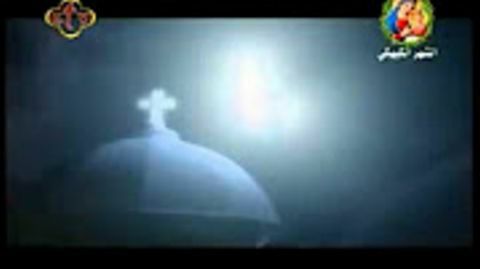 picture 1: A supernatural light appears next to the church dome. It began at 11:30 p.m. on August 17, 2000, while hundreds of thousands of Copts from all over Egypt were celebrating St. Mary’s Lent. 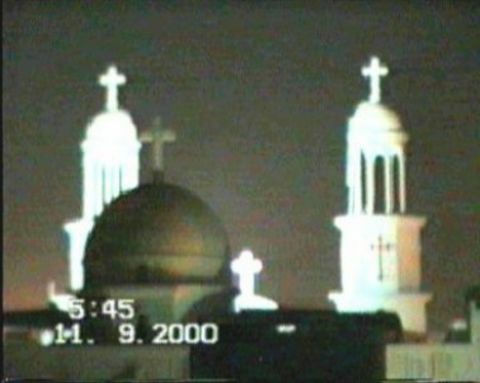 Residents around St. Mark’s church of both Coptic and Muslim faith watched the apparition of the Virgin Mary above the dome and between the two towers until 3:00 a.m. Then again, from 4:00 a.m. until 6:00 a.m. she appeared along with blue-green flashes of heavenly lights and glowing doves. Thousands gathered as the news spread like wildfire. 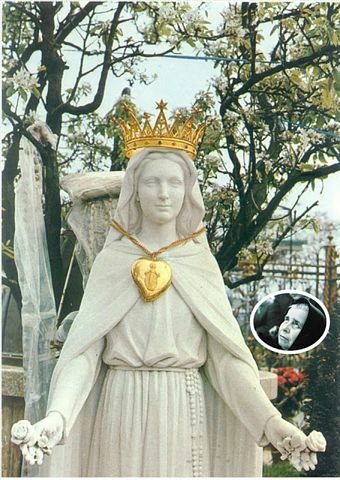 After the officials gave up trying to find any evidence of a hoax or clever light display, the figure of Mary along with incense, celestial lights, and flying luminous doves continued every night from 2:00 a.m. until 6:00 a.m. On one occasion, the shadow of a monk appeared next to Mary. 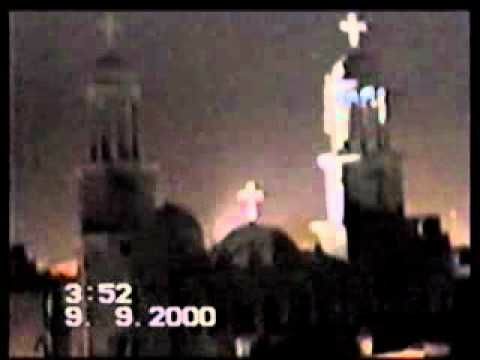 September 6, 2000: One woman told the BBC that she had seen the Virgin Mary with outstretched hands, and a light emanating from them, accompanied by a smell of incense and large numbers of glowing pigeons. 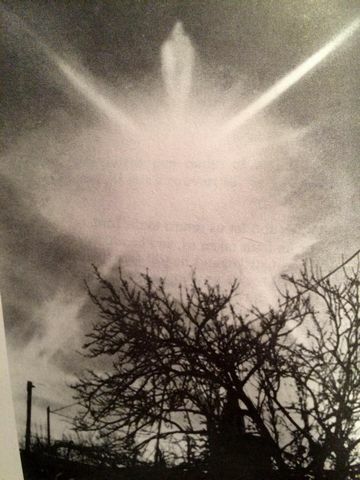 picture 2: More supernatural lights appear in the sky. On September 15 – with thousands headed to rooftops for the best views – one eyewitness files this report from his position across from the south side of the church. picture 3: Luminous birds create formations in the sky. 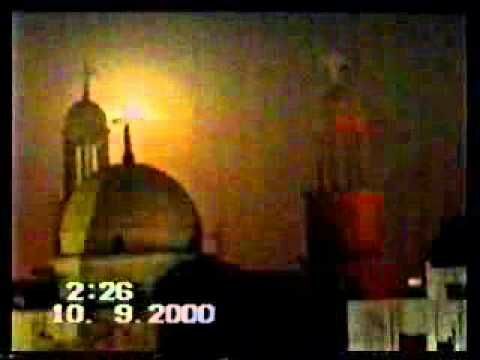 October 8, 2000: The dazzling apparition lights continue over the domes and towers of St. Mark’s church, accompanied with miracles of healings being reported. picture 4: Strange lights illuminate certain parts of the church. Coptic Pope Shenouda III and His Grace Metropolitan Anba Michael of Assiut followed the apparition events closely with the Coptic Pope confirming the validity of these reports on a visit to the US and Canada that year. Both British and Egyptian journalists have traveled to Assiut and have seen the amazing lights – but cannot find a source or reasonable explanation for their appearance. Father Labib from the nearby Orthodox Copt Dronka Monastery was excited about the sightings, claiming that when you look for the source of light, you cannot find it. picture 5: The unusual lights continue. March 29, 2001: At St. Michael’s Cathedral, strange events there began drawing thousands. It began in the sanctuary at 1:00 p.m. as the Eucharist was being celebrated. Bright lights illuminated the icons in the sanctuary and bathed the Holy Oblations on the altar. This occurred several more times before the Holy Mass concluded at 3:00 p.m. Several members of the congregation were able to photograph these unusual lights. Cell phones texted others and soon thousands were headed toward this church. That evening, “heavenly lights illuminated the church dome and towers” followed by the appearance of “large glowing doves” flying around the dome. This lasted from 10:00 p.m. until 5:00 a.m. at dawn and was seen by thousands who had gathered around the church to watch and photograph the spectacle. 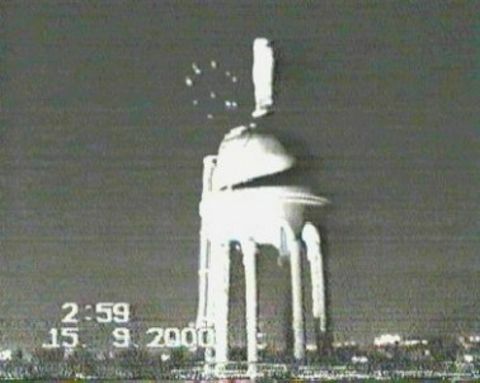 The lights and doves appeared every night until a week later on Tuesday, April 4, 2001. As the luminous doves glided overhead, the sounds of thousands chanting prayers and praises filled the streets. picture 6: The supernatural lights could become very bright. When King Herod had ordered the killing of all children in Bethlehem, the Holy Family had fled Israel and come into Egypt. Assiut is where they spent the longest period of time – six months – and the farthest south that they had travelled. The Bishop of Assiut confirmed these stories officially on April 6, 2001. Over 30,000 Catholics from the unofficial Church had gathered for Mass on May 23, 1995, at the Dong Lu shrine on the vigil of the Feast of Our Lady, Mary Help of Christians. There were four bishops of the unofficial Church concelebrating the Mass, and nearly 100 unofficial priests standing in the open field. Suddenly, during the opening prayer and again during the consecration, the people observed the sun spinning from right to left. Light rays of various shades of color emanated from the sky. Participants saw Our Lady of China and the child Jesus in the sky. The Virgin Mary appeared as a beautiful lady in white, surrounded by light. 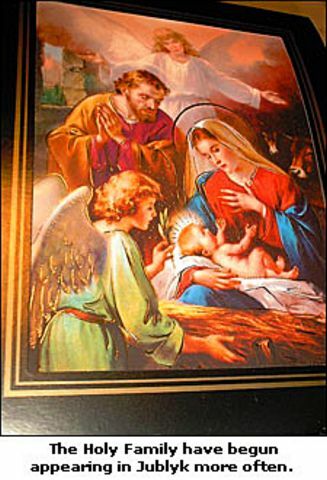 They also saw the Holy Family, the Heavenly Father, and the Holy Spirit. The phenomenon lasted about 20 minutes. The Public Security barred all pilgrims from joining anyone on the hill. The police forced people back into buses and trains without offering any explanation. Still, as many as 100,000 of the faithful successfully reached the area by finding alternative ways to get there to celebrate the Feast of Mary Help of Christians on May 24, 1995. An official government announcement forbade anyone from going to the Dong Lu shrine. The Chinese government mobilized 5,000 troops, supported by dozens of armored cars and helicopters. They destroyed and leveled that Marian shrine, confiscated the statue of the Blessed Virgin Mary and arrested many priests. 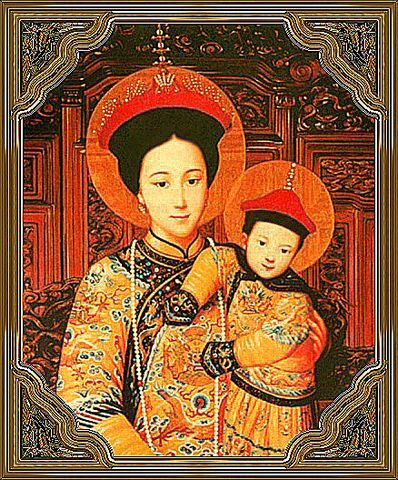 However, the picture of Our Lady of China survived and remains intact. Only a copy of that picture was actually used in the church. The original picture had been hidden in the wall behind the copy, and this was recovered safely. It is now in the protective custody of Chinese priests who carry out their activities secretly. The Cardinal Kung Foundation is promoting the celebration of an annual Mass for the persecuted underground Roman Catholic Church in China. The Foundation has chosen the Sunday that falls before October 1st as the annual date for this Mass. October 1st is the National Day of the founding of the People’s Republic of China and also the anniversary of Pope John Paul II’s canonization of the 120 blessed martyr saints of China. 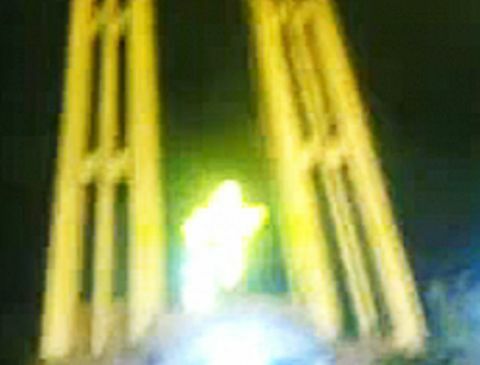 Although the Church has not issued an official judgment of the overall apparitions at Dong Lu, China, Pope Pius XI’s establishment of the church there as an official Marian Shrine constituted implicit approval.